By the way, do you know a better place to browse past Ski-O GPS tracking than our website? 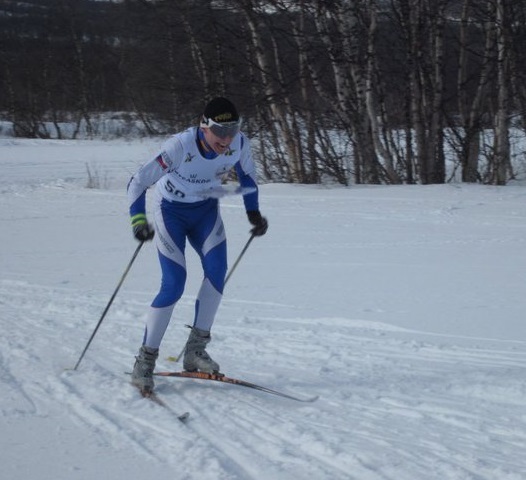 We closed this ski orienteering season by boy's 5th place and girl's 6th place (after tightly lost finish with Estonia) in relay at the World Championships! Together with juniors and youth, we made a wonderful thing for the first time: 6 Czech relays were on the start and 6 Czech relays were on podium (TOP6)! So 18 of 20 Czech competitors have a diploma from Piteå. Great motivation, right? Last race of the World Championships (and this season) is comming! Watch relays LIVE from 12:10 CET! Yesterday we got first TOP10, Lenka Mechlová was 10th on middle distance mass start! And the others? 18. Jakub Škoda, 19. Petra Hančová, 20. Kateřina Neumannová, 21. Johanka Šimková, 22. Radek Laciga, 23. Petr Horvát and 31. Vojtěch Matuš. The Relay broadcast will start at 12:10 with Women and will follow with the Men competition. The TV show will start at 09:55 and ends at 12:30. The Middle distance day will start with a mass start for Men and the Women competition will follow. The TV show will start at 13:05 and ends at 15:20. The sprint distance day will start with the Women competition and the Men competition will follow. Copyright © 2015-2018. Powered by WordPress. Designed by myThem.es.